Welcome to Smoky Mountain Outdoors Unlimited. Our headquarters is based in Bryson City, North Carolina, in the heart of the beautiful Great Smoky Mountains. 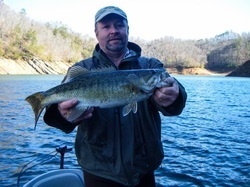 Owner and head guide Ronnie Parris is your host and your Fontana Lake fishing guide. 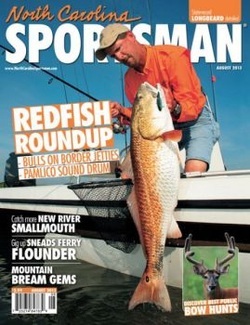 All of our guides are top notch fishermen who I personally have fished with for years. 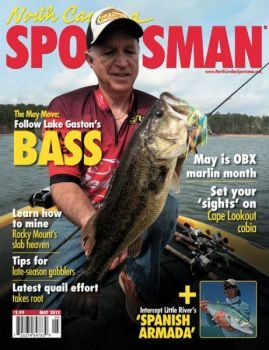 I use only local guides who have years of fishing experience to guarantee you will have a great time in our smoky mountain streams and lakes. We offer lake, creek and river fishing. I understand that everyone has different physical capabilities and limitations. With this in mind we like to talk to our customers before and customize an outdoor experience for you to make your trip as enjoyable as it can be. We offer both full and half day trips with the most competitive rates available. There are no hidden fees when you book with us. All tackle and supplies you will need while you are on your trip is covered by our listed price. We also offer overnight camping trips to local national park streams of your choice. When you book a full day fishing trip a shore lunch is provided for you at no additional cost. Come and join us in the outdoors of the Great Smoky Mountains for the memories that will last a lifetime.